Crown him that, and then, I grant, we put a sting in him, That at his will he may do danger with. The abuse of greatness is, when it disjoins Remorse from power; and, to speak of conscience, Caesar, compassion I have not known when his affections swayed more than his reason. It is this same belief in the power of institutions as opposed to individuals in enhancing democratic governance which led President Barack Obama to admonish the Ghanaians during his visit to the country to strive to build stronger institutions to safeguard our nascent Democracy which was at that point becoming the envy of the world. As a sociologist, I am keenly aware that a cardinal sin in my discipline is what is conventionally referred to as "psychological reductionism". In plain English, this sin is committed when explanations of "social" phenomena are sought in "psychological" processes. This essence of the discipline was aptly captured by one of its founding fathers, Emile Durkheim, in the following assertion: "only the universal is rational; the particular and concrete baffle understanding". I dare say that no keen observer of the evolution of our democracy can fail to see that the ghost of the NDC individualist dispositions has been haunting every institution in the polity that ideally seeks to strengthen the democratic project we are building as a nation. This situation suggests that the entire edifice of the 1992 Constitution which engendered the creation of certain key institutions must be interrogated and possibly amended to ensure a normal developmental trajectory for our Democracy. While one can cite several examples of institutions that refuse to be strengthened because of the calibre of the individuals who man them, my focus in this article is the Electoral Commission (EC) whose acts of commission and omission during the December 2012 general elections have now thrown our democracy project in great doubt to the chagrin of the international community. Like many of our present so-called democratic institutions, the EC is a creation of the NDC via the 1992 Constitution. While the 1992 Constitution guarantees the independence of this institution, it is everything but independent. The essence of this independence is the emphasis on the importance of this institution in the development of multiparty democracy in the African continent (In fact, in South Africa the adjective, "independent" is included in the name of the entity, “The Independent Electoral Commission”). However, our experience in Ghana is that since 1992 we have allowed the flawed characters of certain EC officials, their lack of vision, their personal political preferences and general incompetence to dictate the development of this vital institution to the point where the institution has now lost the credibility and integrity which are the sine qua non of its existence. But I must hasten to say that in the gradual destruction of the Electoral Commission, a section of the Fourth Estate (the Media) has been equally culpable. I am speaking here specifically of the role of the rented media in preventing the strengthening of our institutions of democracy. The role of the media in this instance has been manifested in several ways but the one clear manifestation was how some media houses chose to vilify politicians who foresaw the destruction of the EC through the shenanigans of these flawed characters in the run up to the December 2012 general elections. Specifically, when the former MP for Asokwa, Honorable Kofi Jumah, drew the nation's attention to how the institution was being bastardized under its current chairman, he was written off as a charlatan by the NDC rented media. In underscoring the chairman's incompetence, Honourable Kofi Jumah alluded to the fact that whatever positive development that had taken place at the Commission until the eve of the 2012 elections had been foisted on the Chairman of the Commission by the official Opposition (NPP) and such pressure groups as Alliance for Accountable Government (AFAG) rather than coming through his own initiative. These developments ranged from transparent ballot boxes to the biometric voting system and its concomitant verification. Conversely, whenever it came to doing things that would pose a threat to the social cohesion that is necessary for nurturing our Democracy, the Chairman always did them with alacrity: his insistence on creating 45 new constituencies with only three months to the crucial elections, his initial opposition to the whole idea of biometric voting, his inability to account for nearly 300,000 dubious overseas votes and countless other acts of omissions and commissions which all suggested his debt to the party which brought him into office in the first instance. What the Electoral Commission has done goes beyond the flawed characters of the few officials who might be gaining materially from their actions. The so-called mistakes which they are now attributing to the casual workers they engaged during the elections, goes to the very heart of the development of the stripe of democracy the entire continent has been striving to build in the last several years under the auspices of the African Union (AU). Why do I say this? As a people, Ghanaians were slowly but inexorably coming to accept the ballot as the only legitimate means of mandating a group of people to govern them every four years. This acceptance of the ballot largely explains the equanimity with which all sides of the political divide accepted the outcome of the 2008 elections despite its closeness in our history. It also explains the patience the electorate had for the NDC misrule in the past 4 years when very young men and women displayed naked power, wealth and arrogance. Finally, the acceptance of the ballot explains the continuing patience with the laid down grievance procedure which the opposition NPP has chosen to follow in the face of compelling evidence of the worst electoral fraud in our history. It is within this context of the acceptance of the sanctity of the ballot by the Ghanaian electorate that we should measure the irreparable damage the EC has done to our Democracy as a result of its gross incompetence. The pertinent question to ask at this juncture is: Are Ghanaians going to trust the electoral system from now on and strive to register and vote in their numbers again after being dealt the unnecessary psychological blow that after all their thumbprints no longer matter in effecting a change or otherwise of a government? You see, like many other Ghanaians in the diaspora, I used my own money to travel from South Africa to come and register in April and again in November 2012 to come and vote. 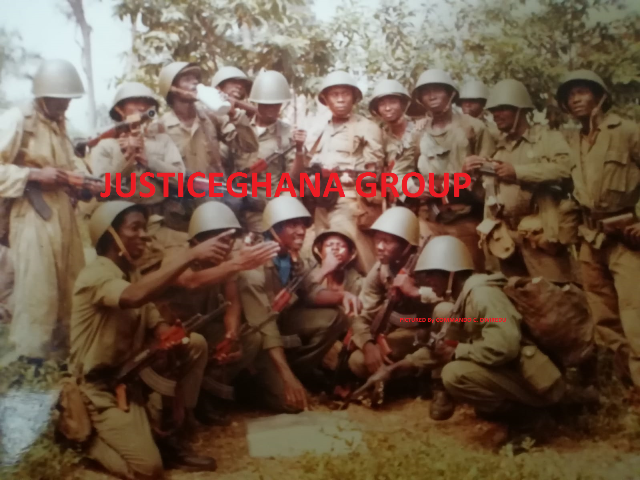 I did all this because like every Ghanaian, I believed that after years of military adventurism and misrule and five successive democratic elections I could trust the system to deliver a verdict which would be reflective of my will as a citizen and of course that of the majority of the people. But, alas, I was dead wrong and instead I was taken for a big ride by crooks and criminals who were prepared to sacrifice the greater good of the country on the altar of self interests. If the EC officials were not incompetent how could such educated people not reason that at the end of the day the number of registered voters would be less and not more as a result of deaths (and not births in this particular instance) and apathy of those who registered to vote in the population? This is commonsensical and does not even require any formal educational qualifications to know. It is within this context of the irreparable damage to our young democracy that the mafia that runs the Electoral Commission must not only resign but must be prosecuted for crimes against the state. Professor Acheampong Yaw Amoateng PhD, is a Senior Researcher with the Centre for Sociological Research, University of Johannesburg, South Africa.